Can YOU volunteer to continue developing this site for the local community? Volunteers are needed for Community Gardening days and for ongoing maintenance (e.g. weeding and watering). We now have a small Gardening Group of volunteers which you can join - learn from others, help with the cropping and input into how the Orchard develops. 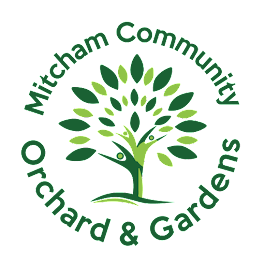 We are also looking for new members of the Mitcham Community Orchard team to input new ideas and ways to make the site more accessible for everyone.